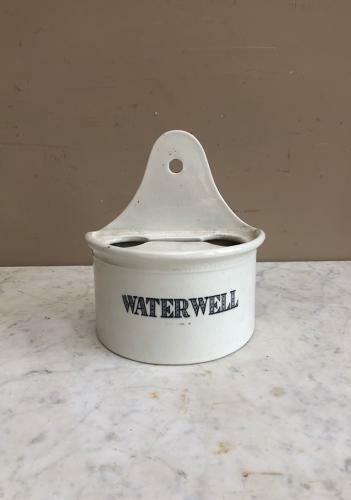 Great condition with no damage Edwardian White Ironstone WATERWELL. Great black on white typography. I have to be honest I havent had one of these before...sold to me as an item to clean barbers shaving brushes? I really dont know, but a good early piece of black on white and displays well.